Looking to enhance your cupcakes and cookies? 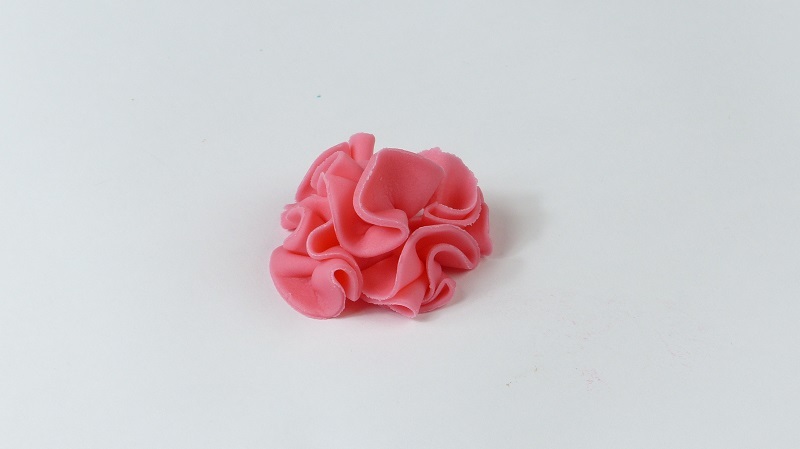 Here’s a REALLY EASY fondant flower to make. No fancy tools necessary! Just follow these quick steps and you’ll have a gorgeous flower to add to your baked goods. You can also make a whole bunch and gather them into a beautiful bouquet on top of a cake. Roll out the fondant to 2-3mm thickness and cut out five circles. Join four of the petals at their base by lightly squweezing them together. Add the final petal on top. Place on top of your cupcake or cookie!